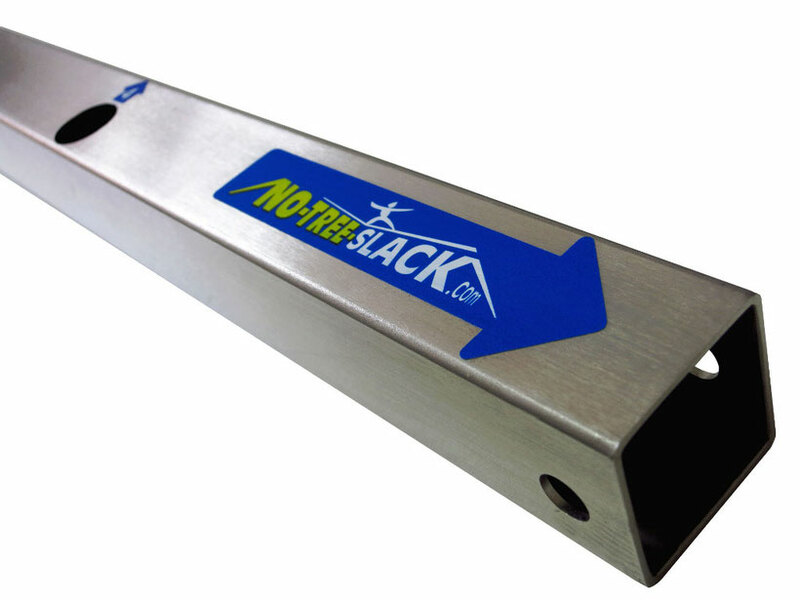 The slackline anchor-tube and the slackline connecting bolt are made of V2A stainless steel. Nominal load 1000 kg (tension on slackline). Additional function: Contain the spiky pegs during transport. On beaches you need 2 extra pegs per anchor.